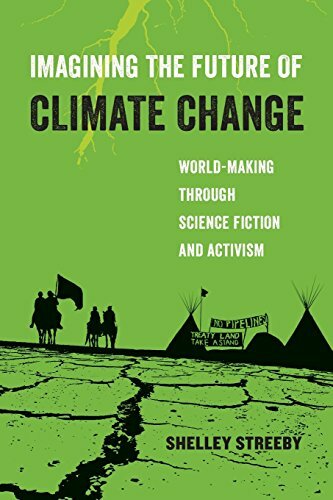 My new book Imagining the Future of Climate Change: World-Making through Science Fiction and Activism is now available from the University of California Press! From the 1960s to the present, activists, artists, and science fiction writers have imagined the consequences of climate change and its impacts on our future. Authors such as Octavia Butler and Leslie Marmon Silko, movie directors such as Bong Joon-Ho, and creators of digital media such as the makers of the Maori web series Anamata Future News have all envisioned future worlds during and after environmental collapse, engaging audiences to think about the earth’s sustainability. As public awareness of climate change has grown, so has the popularity of works of climate fiction that connect science with activism. Today, real-world social movements helmed by Indigenous people and people of color are leading the way against the greatest threat to our environment: the fossil fuel industry. Their stories and movements—in the real world and through science fiction—help us all better understand the relationship between activism and culture, and how both can be valuable tools in creating our future. Imagining the Future of Climate Change introduces readers to the history and most significant flashpoints in climate justice through speculative fictions and social movements, exploring post-disaster possibilities and the art of world-making. Indigenous science, fiction, and futurisms shaped the #NoDAPL struggle led by the Standing Rock Sioux tribe, as well as other worldwide struggles over oil, water, and resource extraction, including in Māori contexts. Indigenous-helmed movements practice world-making through taking direct action, working in indigenous science and technologies, and imagining decolonized futures in the wake of climate change disaster in many different kinds of speculative fiction across multiple media platforms. The great science fiction writer Octavia E. Butler was a major climate change intellectual whose extrapolations from her present, theorizing of climate refugees, and archival memory-work illuminate blind spots in 1970s to early 2000s climate change conversations. Butler imagined symbiotic possibilities for shaping change in a world transformed by the greenhouse effect. From the early 2000s to the present, Detroit organizer, theorist, and fiction writer adrienne maree brown has created generative intersectional connections among Octavia E. Butler’s work, science fiction, social movements, and direct action. Brown’s theorizing of emergent strategy, crafting of visionary fiction, and learning from and connecting to Indigenous people are especially significant contributions to imagining the future of climate justice as a world problem. 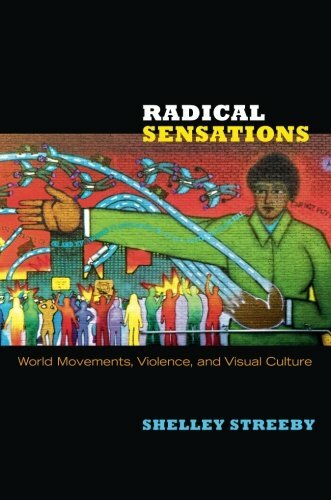 Radical Sensations: World Movements, Violence, and Visual Culture. The significant anarchist, black, and socialist world-movements that emerged in the late nineteenth century and early twentieth adapted discourses of sentiment and sensation and used the era's new forms of visual culture to move people to participate in projects of social, political, and economic transformation. Drawing attention to the vast archive of images and texts created by radicals prior to the 1930s, Shelley Streeby analyzes representations of violence and of abuses of state power in response to the Haymarket police riot, of the trial and execution of the Chicago anarchists, and of the mistreatment and imprisonment of Ricardo and Enrique Flores Magón and other members of the Partido Liberal Mexicano. She considers radicals' reactions to and depictions of U.S. imperialism, state violence against the Yaqui Indians in the U.S.-Mexico borderlands, the failure of the United States to enact laws against lynching, and the harsh repression of radicals that accelerated after the United States entered the First World War. By focusing on the adaptation and critique of sentiment, sensation, and visual culture by radical world-movements in the period between the Haymarket riots of 1886 and the deportation of Marcus Garvey in 1927, Streeby sheds new light on the ways that these movements reached across national boundaries, criticized state power, and envisioned alternative worlds. Mid-nineteenth-century American literature teems with the energy and excitement characteristic of the nation's era of expansion. It also reveals the intense anxiety and conflict of a country struggling with what it will mean, socially and culturally, to incorporate previously held Spanish territories. 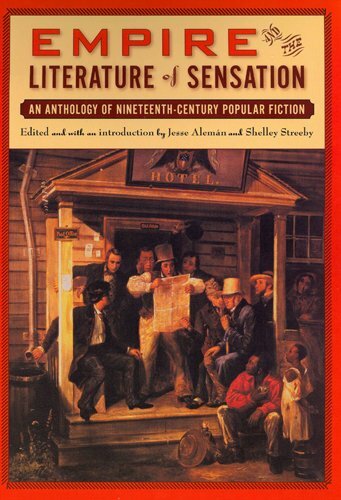 Empire and the Literature of Sensation is a critical anthology of some of the most popular and sensational writings published before the Civil War. It is a collection of transvestite adventures, forbidden love, class conflict, and terrifying encounters with racial "others." Most of the accounts, although widely distributed in nineteenth-century newspapers, pamphlets, or dime store novels, have long been out of print. Reprinted here for the first time are novelettes by two superstars of the cheap fiction industry, Ned Buntline and George Lippard. Also included are selections from one of the first dime novels as well as the narratives of Leonora Siddons and Sophia Delaplain, both who claim in their autobiographical pamphlets to have cross-dressed as men and participated in the Texas rebellion and Cuban filibustering. 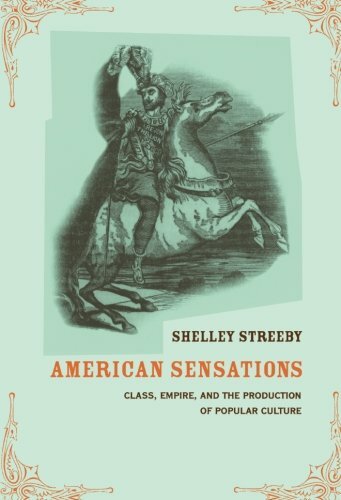 Originally written for entertainment and enormously popular in their day, these sensational thrillers reveal for today's audiences how the rhetoric of empire was circulated for mass consumption and how imperialism generated domestic and cultural instability during the period of the American literary renaissance. Published in New York in 1843 by E.E. & G. Barclay,The Female Warrior is an example of a popular literary genre—the first-person account of a cross-dressed female soldier—that circulated in the United States as early as the Revolutionary War and continued through the Civil War. These accounts often balanced patriotism with sensationalism. Transgressive women were standard fare for the Barclay publishing house, which circulated pamphlet novels of similar length, style, and form that recounted the criminal adventures of female murderers, prostitutes, or insane housewives. Ned Buntline is one of Edward Zane Carroll Judson’s (1821–1886) pseudonyms. Judson was one of the most prolific writers of popular literature in the nineteenth century, and his life reflects those turbulent times. Judson served in the navy as a mid-shipman, fought in the Second Seminole War and for the Union in the Civil War, and, following his trek west in 1869, he made Buffalo Bill Cody a popular literary figure. He also penned over a hundred novels, countless tales, sketches, and articles, and several plays. George Lippard was one of the most popular writers of the 1840s and 1850s. During the early 1840s, he worked as a journalist and fiction writer for the Philadelphia Spirit of the Timesand the Citizen Soldier, but after his first novelThe Quaker City; or The Monks of Monk Hallbecame a phenomenal best-seller he was able to support himself as an author without writing for other papers. As a result, he devoted his energies to using literature to promote the interests of the white working class and the cause of land reform in his weekly story paper, the..